This is a post I wanted to write about a month ago when I saw Sean Penn on Bill Maher’s HBO show. 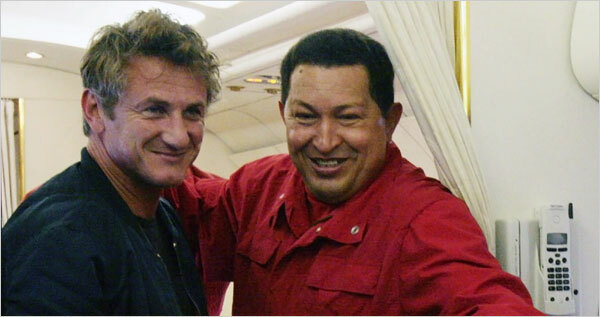 Sean Penn is not unfamiliar to controversy or saying derogatory things about those who disagree with him. A few weeks back he said, “Do I hope those people (who disagree with him) die of rectal cancer? Yeah.” His blind socialist views have led him to reject democratic freedoms, and rejoice a dictator like Hugo Chavez. Rather than helping the less fortunate that he claims to achieve, he is slapping the poor in the mouth by aligning himself with a man like Chavez.